When Netflix's megahit horror/sci-fi series Stranger Things returns to the airways for Season 3 in the summer of 2019, it'll be set in the year 1985. That's when Mikhail Gorbachev rose to power, New Coke hit supermarket shelves, and We Are the World ruled radio. 1985 is also the year the Chevy Chase comedy Fletch hit theaters nationwide. While bringing up Fletch may seem like a no sequitur, Stranger Things mainstay David Harbour recently told Variety the film, directed by Michael Ritchie and based on the novel by Gregory McDonald, is a major influence on the upcoming season. "[Showrunners Matt and Ross Duffer] are so specific each year with the movies. And Fletch is one movie we get to play around and have some fun with this season. You wouldn't expect [that] from Stranger Things and you wouldn't expect from the Spielberg universe and you certainly wouldn't expect from a darker season." "A veritable chameleon, investigative reporter Irwin 'Fletch' Fletcher (Chevy Chase) might drive his editor (Richard Libertini) up the wall, but he always produces great pieces for the newspaper. When his next story is about the drug trade taking place on the beach, Fletch goes undercover as a homeless man. Unaware of Fletch's true identity, businessman Alan Stanwyk (Tim Matheson) offers Fletch $50,000 to kill him. Intrigued, Fletch decides to unearth the full story behind the offer." "Their relationship is going to get far more complex, because, you know, things happen to girls and boys when they're 13 and 14. A lot of changes go on in the body and in your social life, and I don't think he's going to handle watching her become a woman in front of his eyes very well. That's a horrifying thing for him - maybe even more so than fighting inter-dimensional monsters." 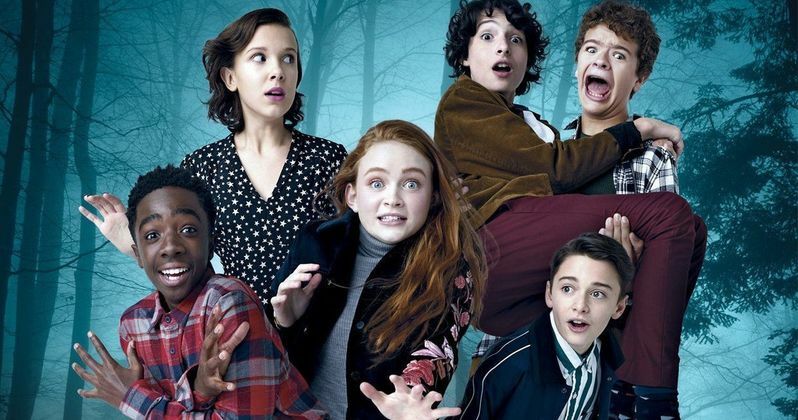 In addition to Busey, newcomers for Stranger Things Season 3 include: Maya Thurman-Hawke (daughter of Uma Thurman and Ethan Hawke) whose character Variety described as "an 'alternative girl' bored with her mundane day job"; Francesca Reale who will be playing Heather, a popular lifeguard at the Hawkins' community swimming pool; and Cary Elwes who will play the "handsome, slick, and sleazy" politician Mayor Kline. Season 3 will also see an elevated role for Priah Ferguson, who was a consummate scene-stealer as Lucas's sister Erica in Season 2. Many fans are hoping the Duffers will find a way to bring fan-favorite Barb back, but don't hold your breath! This news came our way via Variety who got the exclusive.